Take-away hire, from Moss Vale, of a 15' or 16' Wenonah or Silverbirch Canoe - the best available in the country. Transport is not included, you will need to have either roof racks or a suitable trailer in order to transport the canoe. 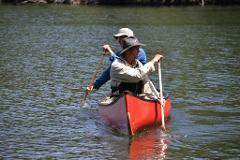 If you're looking for custom-tailored canoe instruction with an individual focus then this is for you. The advertised price is for one or two paddlers in the same canoe and is at the venue of your choice. 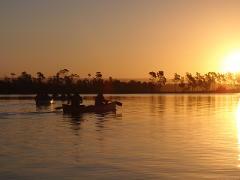 Come along and experience a multi-day canoe journey! Learn the art of camping from your canoe and expand your repertoire of canoeing skills! After this 5-day course with us you'll feel confident to paddle almost anywhere! This course is designed for people who want to learn to paddle a canoe - or for experienced paddlers who simply want to learn how to paddle "better."